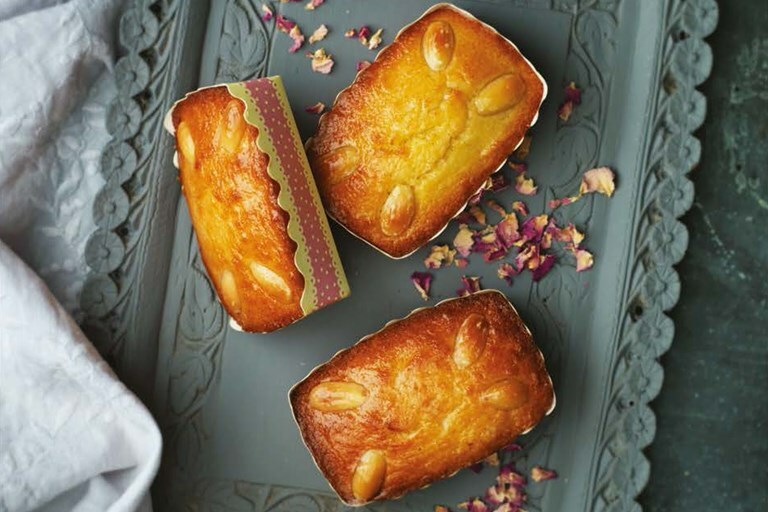 Claire Clarke presents two options for baking her Egyptian basbousa recipe – you can choose to create one big round cake, or cute mini loaves as she does here. A great cake for any time of year. This recipe is taken from 80 Cakes From Around the World by Claire Clark, published by Absolute Press. My dear friend Firas shared his mother's recipe for this simple, tasty cake with me. The addition of coconut is not traditional but I love the softer texture it creates. Once the cake has been baked, it is soaked in a beautiful rose syrup. I make mine in individual card loaf cases but traditionally it is baked in a large tin. This mix makes 15–20 mini cakes or one 23cm x 33cm cake.